China will reportedly allocate $62 billion of its foreign exchange reserves to three state-owned “policy banks” in order to support its New Silk Road project, aimed at creating infrastructure links with foreign markets. The project called 'One belt, One road', also known as the New Silk Road, includes plans to build roads, ports, railway systems and other infrastructure from China into the Middle East, Central, South and Southeast Asia to create demand for China’s industrial exports, as it already sees oversupply at home. The People’s Bank of China will direct $32 billion to China Development Bank (CDB) and $30 billion to Export-Import Bank of China (EXIM), the Caixin magazine said in a report on its website. The third bank to receive cash from China's central bank is Agricultural Development Bank of China (ADBC); another state-owned bank that supports the farming sector. The capital injection will be carried out through converting entrusted loans into stakes, the journal said, adding that the People's Bank of China will become the second largest shareholder in the China Development Bank and the biggest shareholder of the EXIM bank. Chinese government said last week it had approved the reform plans for CDB, Exim Bank and Agricultural Development Bank proposed by the Central Bank in attempts to advance finance projects amid the current economic slowdown. The government has been saying for years it intended to transform these three policy banks into commercial institutions, but little progress has been seen. Policy banks in China do not accept deposits and fund themselves mainly by selling bonds carrying an explicit government guarantee. The banks sell bonds in Yuan within China and USD bonds in the offshore market. The foreign exchange reserves of China, considered the worlds largest, fell by $110 billion to $3.7 trillion in the first quarter of 2015. 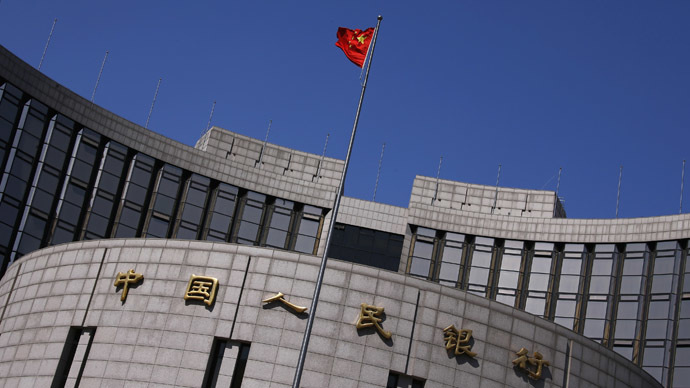 China had previously used part of its foreign currency reserves to recapitalize major state-run banks, help them restructure and list their shares.